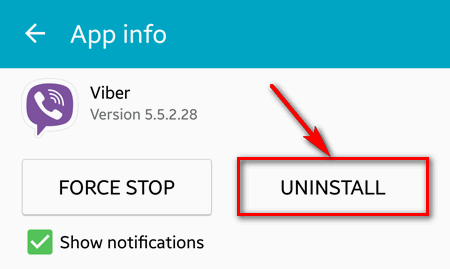 Question: How can I completely exit and turn off Viber without uninstalling the app? 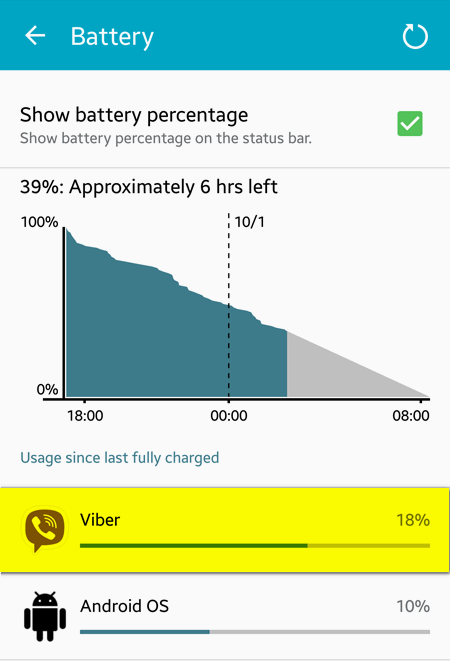 Even after I tapped Exit it continues to run in the background and I still receive incoming calls and messages. 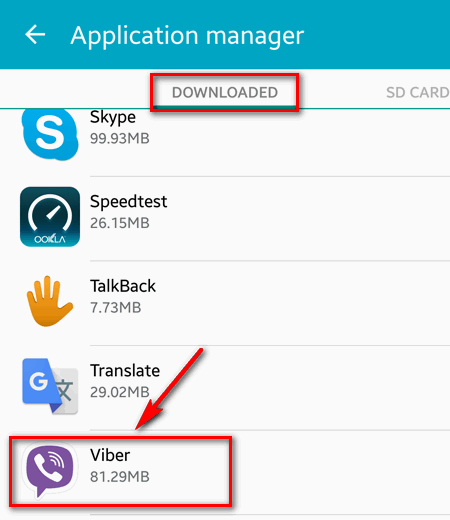 Once you signed in to Viber it stays connected to the server all the time. Even if you press Exit it would be running in a background. 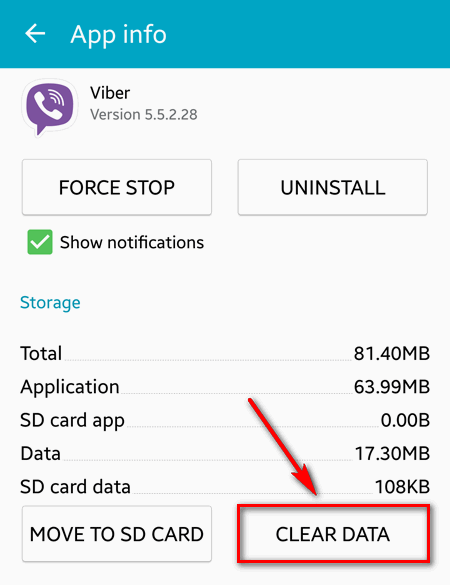 Viber support does not deny this behavior. 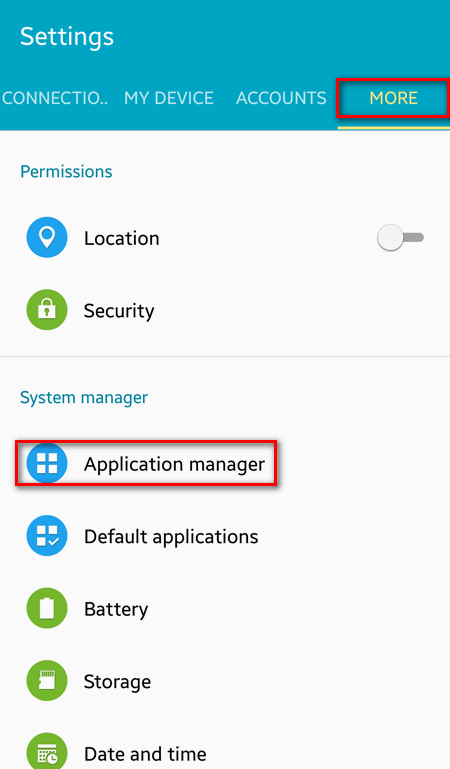 It says the app is running in a background just to take care that you never miss a call or important message. 1. The user is being deceived. You can be confident that you are offline, but in fact your device can start ringing or vibrating at any inconvenient moment if somebody decides to contact you. It is very annoying. 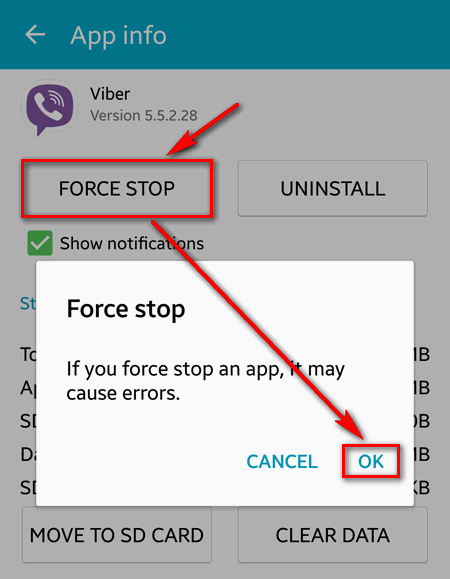 Remark: you will have to force stop the app every time after you use Viber. 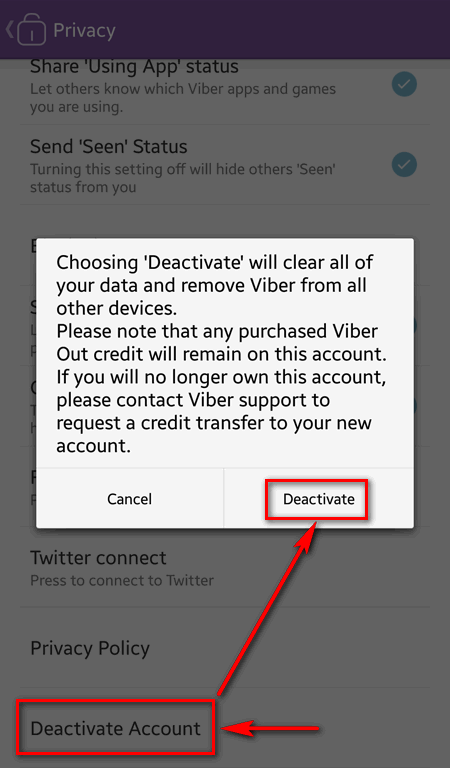 In this case the information about your account will be erased and you won’t be online any more. Go to Menu ? Settings ? Privacy.